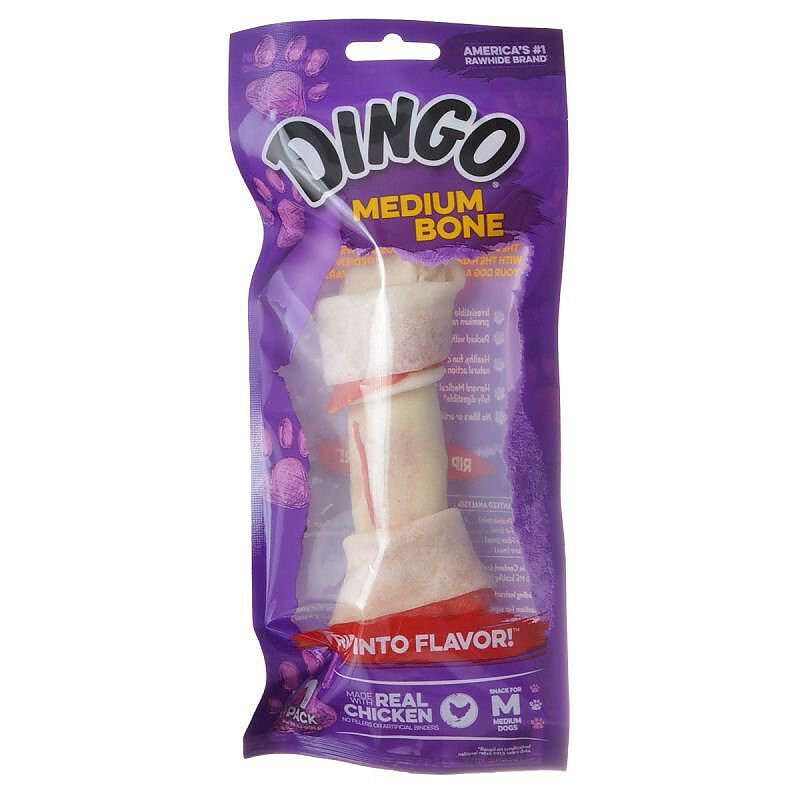 Dingo Medium Rawhide Bones are premium, hand-tied chews with the irresistible combination of real chicken breast jerky wrapped in the highest quality rawhide. 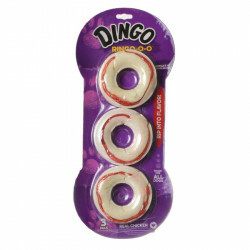 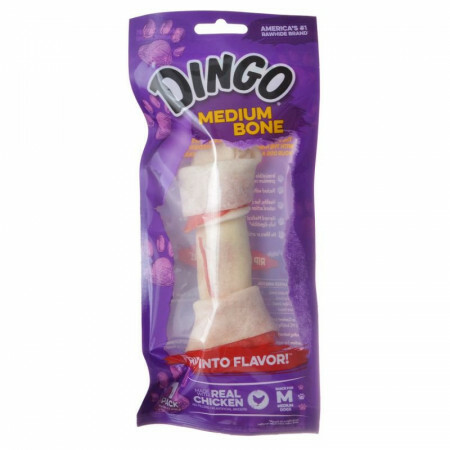 The delicious flavor, satisfying texture, and natural ingredients have made Dingo Bones a time-tested dog favorite. 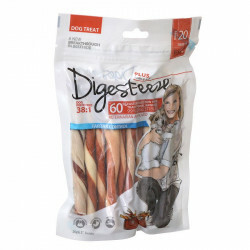 Buy in bulk for even more savings! 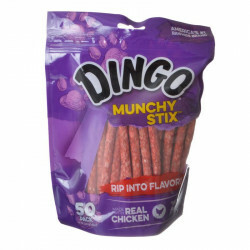 Feeding Guide: One chew per day. 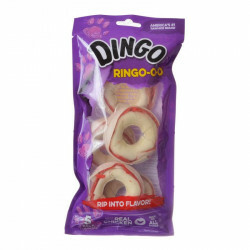 Ingredients: Rawhide, Chicken, Pork, Potassium Sorbate (preservative), FD&C Red 40, Dextrose, Salt.